There are three ways to travel from Khon Kaen to Bangkok. By Air: Low cost airlines fly from Khon Kaen Airport to Bangkok. 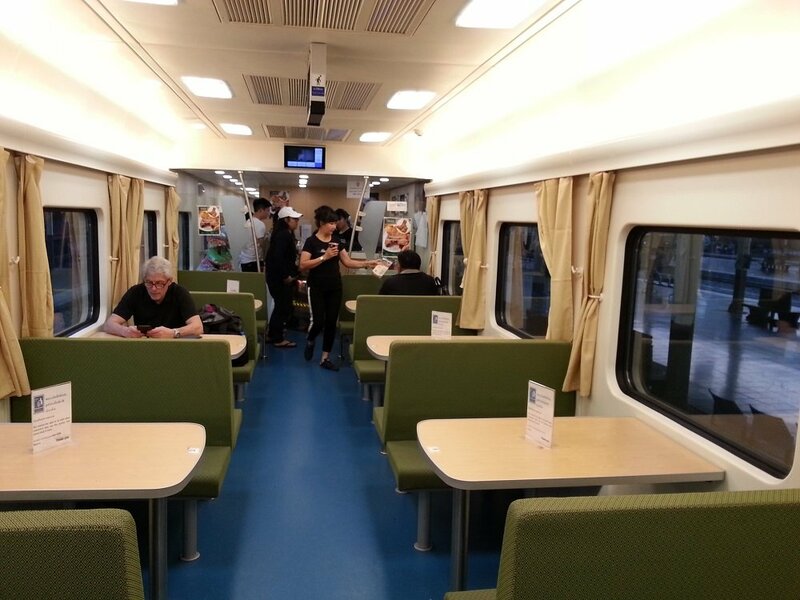 By Train: There are direct trains from Khon Kaen Train Station to Bangkok. By Road: There are direct bus services from Khon Kaen Bus Terminal 3 to Bangkok. Unless you travel 3rd class on the train, the cheapest way to get from Khon Kaen to Bangkok is by bus. The Chan Tour company operated bus services from Khon Kaen to Bangkok. Chan Tour bus services depart from Khon Kaen Bus Terminal 3 on the Liang Muang Road, which is the ring road around Khon Kaen city. The bus station is about 6 km south of the city centre. Take a taxi, tuk-tuk or shared taxi to reach the bus station. Taxi fares in Khon Kaen are not expensive. You can go by train from Khon Kaen to Bangkok which takes around 8 hours 50 minutes. Train travel in Thailand can be pleasant, but it can also be frustrating as trains are often delayed and slow even when running normally. Alternatively for a quicker or less comfortable journey you can go by bus which takes around 7 hours 30 minutes and is cheaper than second class train travel. On average you will arrive 3 or more hours earlier if you take a bus as opposed to a train. Chan Tour bus services terminate at a road side bus stop near to Chatuchak Park.